Technical Support Halifax: No matter how much counter-intuitive it may sound, technology does not work every time the way it is expected. Computers can be infected by viruses, peripherals can fail when connecting to their hosts, and wireless networks can stop functioning. And if you are not a geek, diagnosis technical issues and fixing stuff can be frustrating, time-intensive, and futile, at times. It is a no-brainer that outsourcing your technical support requirements to a trustworthy provider is a wise strategy, and you should always consider the following aspects before zeroing in on the very best one. The very best technical support providers at Halifax (or wherever you want them to provide) should be capable of offering a wide array of services and solutions for the retail clientele and the (small office home office) SOHO folks as well. From virus removal to computer repair, the available services should be able to address a myriad of technical issues. Also, comprehensive technical assistance is vital if you opt for subscription packages. Such packages are typically offered on a monthly, quarterly, half-yearly, or yearly basis. It is imperative for you to choose any technical support company at Halifax (or at your desired location) that offers assistance for all your technical devices, such as printers, fax machines, scanners, access points, repeaters, routers, etc., in addition to providing support for your installed computers. Always remember to inquire in detail whatever the services and solutions that a provider is offering you and the scope of their services (what are the things that are covered and what are not) as well. There more for you to consider than just the rendered services when you are to hire the very best technical support company in Halifax (or wherever you are planning to seek). Feel free to ask as many questions as you want to inquire about the experiences and skills of the company technicians, to whom you have outsourced and assigned your project. It is better to call them in advance and schedule a consultation before signing any maintenance contract, or even when you are going for PPP (pay per project). 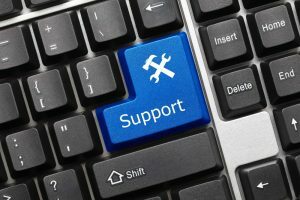 When you are engaging a top-tier technical support provider in Halifax (or at your desired place), help and support are, perhaps, the most significant differentiating factors. Apart from an easy accessibility that is available round the clock and throughout the year, expect any world-class company to offer live assistance like telephonic and web chat, as well as support services that could be availed onsite or remotely. The websites of such websites also offer the facility to create user accounts for their clients so that the service seekers can track the services being sought, view repairs and invoices, and also download self-help tools like how-to guides and troubleshooting manuals.